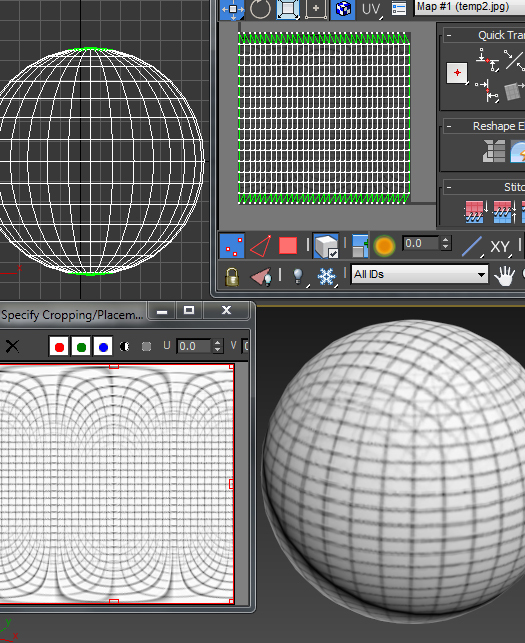 Top left – front view of sphere’s geometry with yellow UV seams at poles; top right – UV layout; bottom left – a cheap 2D grid texture I photoshopped together using my action; bottom right: the resultant sphere with texture applied. Although the grid on top and on the sides doesn’t match up, at least the scale is relatively consistent, which for most textures will be the most obvious thing if standing out. 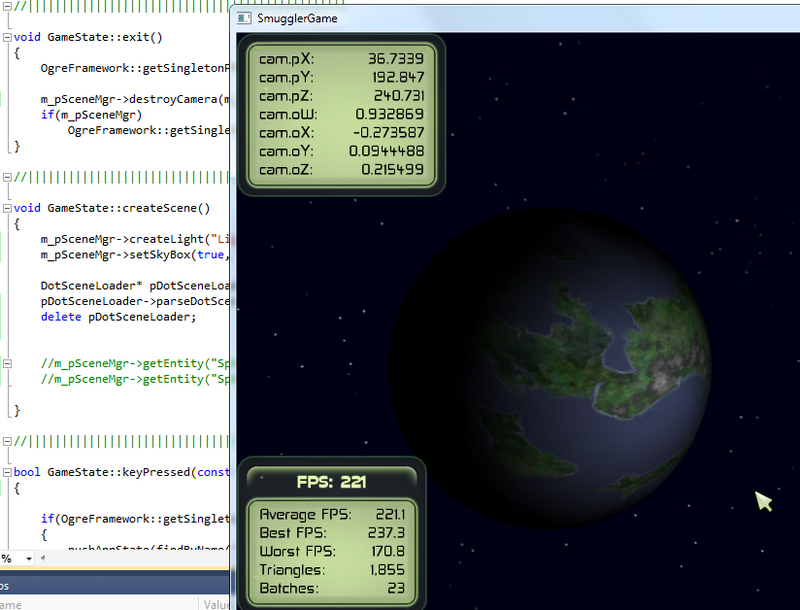 The cube map starfield was created in about a minute using a pflow system in max. It is apparently possible to generate a “real-time” cube map starfield texture procedurally, but I doubt my skills will be up to it in the near future. I’ll probably just create something prettier in max and photoshop, or maybe not use cube maps at all and go with pure geometry. In the above image, the planet is a geosphere (triangles and no geometric poles) with spherical mapping using the method above with a PS generated texture. Obviously the lighting and shading are really dull at the moment. The vertical poles look pretty good, except when the LOD mesh kicks in – probably a UV interpolation issue. 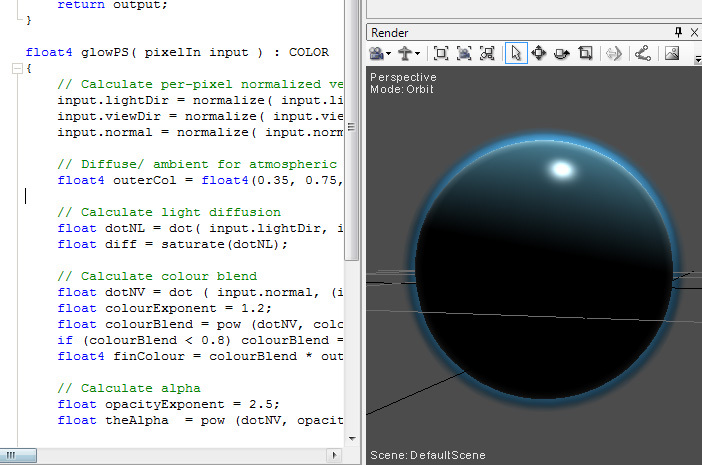 Not yet sure whether to go with procedural planets, moons etc, or bitmaps. I’ll leave it to when I really want to overhaul the graphics!